Cheque cashing, international money transfers and Bureau de Change. If you need any money services then Just Cash is the place to go. For all your catering needs, large or small. 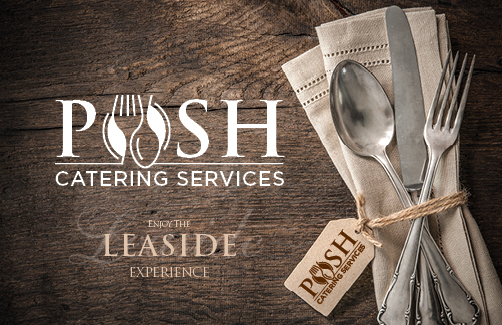 Posh Catering can provide budget buffets for intimate gatherings or extravagant banquet worthy meals for more elaborate occasions. We bring the food to you along with waiting staff, so you can just relax and enjoy your event. All food is created by professional chefs at the Leaside Hotel. Creative design and print solutions. If you’ve booked a party with us at the Leaside Hotel, then you might need invitations, posters, life-sized cut-outs of the guest of honour… you name it, JNB can print it for you. Mayday Vehicle Rentals was established 20 years ago in Luton to provide a professional but personal approach to vehicle hire in the surrounding areas. With our widespread experience in the vehicle rental industry we are able to offer a high quality, flexible service with competitive prices.